A question I get from nearly every client I work with is how to transition from 3 naps to 2 naps (or from 2 naps to 1 nap, but that’s for another post). Assuming your child is falling asleep unassisted and is taking three naps a day, it’s likely those naps are occurring sometime around 8:30 am, 11:30 am, and 3:00 pm. If they were trained through the Baby Sleep Trainer method, they are likely eating when they wake in the morning, after each nap, and 30 minutes before bedtime. This schedule works very well for babies until about their 7th month when you may start to notice they aren’t quite ready for their second nap around 11:30 am, or they can’t seem to fall asleep for nap three at 3 pm. If this occurs for several days in a row and your child is around 7 months old (give or take a month), your little one is ready to transition to 2 naps a day. Naps can start as early as 9 am and as late as 10 am for the morning nap, and as early as 1:30 pm and as late as 2:30 pm for the afternoon nap. For example, if your child takes an uncharacteristically long morning nap of two hours, they may need to go down closer to 2:30 pm, but if your child only sleeps 40 minutes for their first nap, they may prefer to nap closer to 1:30 pm for their second nap. Also, as children grow older you may find that one or both naps need to start a bit later, so you can move naps to start as late as about 10:00 am and 2:30 pm. No single nap should exceed 2 hours and generally speaking TOTAL daytime sleep should not exceed 3.5 hours. Do not go back and forth from 3 naps to 2 naps. Once you are ready to make the transition, stick to it even if naps are short. Wake time in the morning is typically around 6:30 am or 7:00 am, but even if it’s earlier than this time, feed your baby milk when they wake. Generally around the time your child is ready for two naps, they are also taking solids. Feel free to follow the solids feeding schedule as well. If your child is not yet taking solids in, or if you just want them to have an additional milk feeding, noon is a good time to do that. Make certain that if your child is taking in milk at this time that they remain fully awake during the feeding. A milk feeding in addition to solids is also a good idea. If your child is not eating dinner solids, you’ll want to give them another small milk feeding around 5:00 pm, again making sure they stay fully awake. Do not worry about nap lengths. Your baby will sleep however long they need and want to sleep, and with time, their naps will lengthen. If your child is not on a 7-7 daily schedule, adjust the times accordingly to whatever times your child wakes and goes to bed each night. 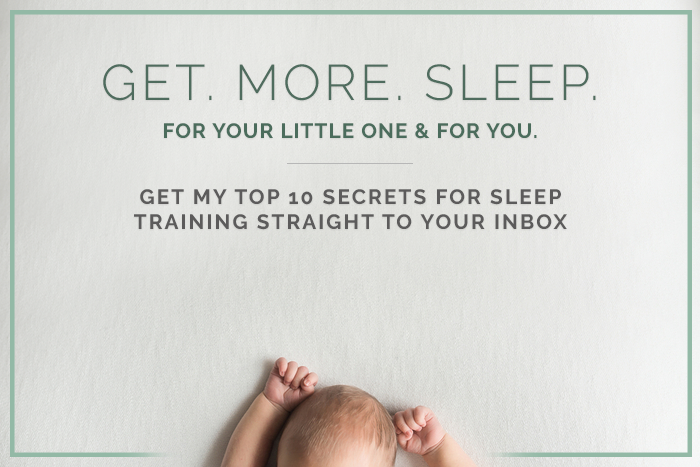 And if you would like to learn more about getting your baby’s naps on a healthy schedule, sign up for my newsletter! Hi there – found this post via a Google search, it’s immensely helpful, thank you. We are in the stage of transitioning to 2 naps and this seems like a great model for us. Question — in your model here, there is a rather big gap between bottle #2 and bottle #3. Our baby is used to drinking milk every 4 hours — this version extends it up to around 5 hours-ish. Would it make sense to give our bottle #3 BEFORE the 2nd nap? Or is there a detriment to doing this? If my 7 month sleeps from 7pm-5:30am, how will it be possible to go down to 2 naps a day? He falls asleep unassisted with no sleep props, takes naps around 8am, 11am and 3pm and doesn’t wake up in the middle of the night. I can’t seem to get him to sleep in later! I normally don’t go into his room until 6/6:15 to get him because he just lays there talking. Shelby, I have the exact same scenario with my little one and I am trying to figure out how to get her down to 2 naps (she is almost 9 months already). I am wondering if trying to stretch her daytime waking and then giving her an early bedtime will be the answer? I am a bit nervous to push her too much right now because we are just two weeks in to no night wakings. I don’t want to make her overtired and disrupt this heavenly sleep we have all been getting! Hi there! You don’t have to go down to 2 naps if your child’s sleep is still great on 3. Like mentioned in the blog, it’s when they start fighting a nap consistently or waking earlier in the morning that you should look at dropping a nap. Also, you don’t need to be sacred about “stretching” them, kiddos usually adjust well within a week or two as long as the parent is consistent, and sleep typically improves with just two naps. Hi there, my 8 month old has been waking up at 5am for the last week and a half instead of 6 or 6:30. I’ve noticed he can stay awake longer and I think he’s probably ready to drop from 3 to 2 naps. My question is….should the first nap happen 2-2.5 hours after his 5am wake up and shift the whole schedule up? I don’t want to solidify this early morning wake time as our new routine!!! Should I keep him up longer (and risk him being overtired) before nap 1? That way his nap time will be consistent for when he hopefully goes back to waking up at 6/6:30? Hi Natalie! Thanks for this post! My daughter is just 7 months and she has been on an off taking short second/third naps the past couple weeks – sometimes just 30 minutes long. I always give her another 15-20 minutes to resettle but she rarely does. Also, her first nap seldom goes past an hour. Does she need to transition to 2 naps? I am dreaming of having longer naps so I can get something done! It’s your call! If she falls asleep quickly for all three naps, even if they’re short, there’s no reason to stop them. She is also ready to go to 2, but, it may be a bit of a bumpy transition if she still happily takes (3) shorter naps. Hi Natalie, we followed he baby sleep trainer plan so we’ve been getting our son up at 4 pm from his last nap. As we transition to two naps and if we put him down at 2:30 do we let him sleep for 2 hours (until 4:30) or continue to get him up at 4pm? Hi Natalie! Our daughter is 9 months, still taking 3 naps and in the past few days her naps have taken a turn for the worst so I feel pretty confident she is ready to move to two naps. She’s fighting falling asleep for naps and fighting her 3rd nap completely. Her nighttime sleep has been pretty great though lately! Do you have a guide for how to actually transition from 3 to 2 or is that something you need to work one on one with parents? I worry about how to figure out the timing of the naps and not make her too overtired, and how to adjust her bedtime in order to work with the transition? Because I figure you adjust it all gradually….Thank you for your help!